High stakes dynasty leagues, in Standard & Best ball formats. Dynasty leagues have never been offered at high dollar entry fees. The FFPC changed that in 2010 with the introduction of FFPC Dynasty format. We also wanted the prize structures to be the highest possible in a high maintenance format like dynasty. We made that happen too. Our leagues are full of active, competitive and committed owners, and not a single FFPC Dynasty league has yet to fold! If you’re a dynasty player and you want a challenge, go no further young man. This is your final stop. IMPORTANT! For any draft which starts after the Thursday night game between ATL and PHI you will be able to move those players in and out of your lineup at your leisure until the kickoff of the final game of Week 1 between the LAR and the OAK at 9:20pm ET on Monday. NOTE: All other players will be locked when their games kickoff, so ATL and PHI players can only be swapped with another player whose game hasn't started. Dynasty leagues are sold out for 2016. Orphan teams will be available starting in January 2017. If you do not have an FFPC account, please create one and you will receive email updates on all future dynasty availabilities. Live online drafts have a 90-second timer per pick. Slow online drafts have an 8-hour clock. Slow dynasty drafts have a 12-hour clock. The FFPC offers these distinctly different dynasty formats: Standard (Std) and Best Ball (BB), each available in traditional FFPC or Superflex scoring. The FFPC Standard Dynasty format includes 20-man rosters, starting lineup submission, waivers, trading, weekly head-to-head matchups, and playoffs. The Best Ball Dynasty format features optimized scoring lineups which are automatically started each week for the entire season. No weekly lineup submission is necessary. There are also no playoffs -- teams which accumulate most total points after 16 weeks win. Best Ball Dynasty also features 22-man rosters with weekly waivers and trading is allowed. Superflex Dynasty Leagues rules have the following small differences: QB can be used as a Flex, but only for 1 Flex position. The 2nd Flex can be RB, WR or TE. For Superflex Standard, teams can draft a maximum of three (3) QBs but may go over 3 QBs rostered via free agency or trading. Superflex Best Ball do not have limitations on QBs drafted or rostered. New owners are required to pay a deposit when registering for a dynasty team. 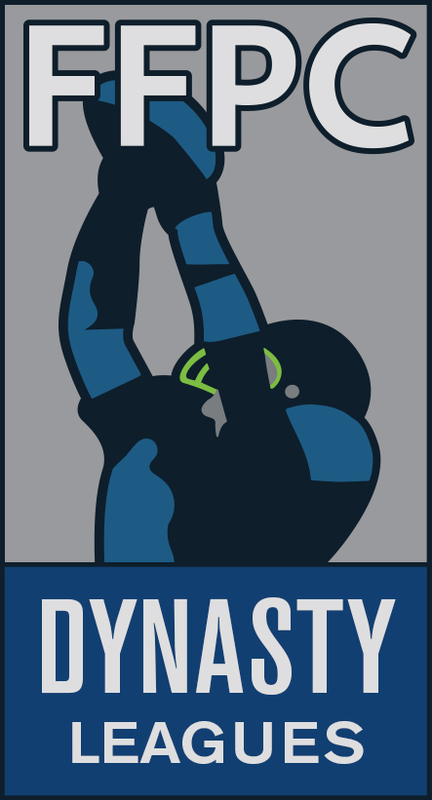 Deposits for each dynasty league are as follows: $250 leagues - $100 deposit, $500 leagues - $250 deposit, $750 leagues - $350 deposit, $1,250 leagues - $625 deposit, $2,500 leagues - $1,250 deposit, $5,000 leagues - $2,000 deposit. This is a one-time deposit, payable upon initial registration. Only the league entry fee is due in the subsequent years. If an owner decides to drop out of the FFPC dynasty league, this deposit will be refunded if the abandoned team is sold for the full entry fee. If the team is not sold at the full entry fee, the deposit shall be used to cover the difference between the final auction price and the yearly entry fee. i.e. : If an abandoned $750 team is sold for $600, the prior owner would receive $200 of his deposit back and $150 would go to cover the difference between $600 and the actual $750 entry fee. The $77 dynasty leagues have a different payment requirement from other dynasty leagues. When entering a $77 league, a two-year payment of $154 is required. This additional $77 is NOT a deposit -- it is payment for the following year's entry fee. Subsequently, the following year's $77 renewal fee will be required to be paid one year in advance. This $77 team renewal payment schedule will continue in perpetuity as long as a team owner wishes to continue ownership of his or her team. Should the owner decide not to pay the $77 renewal fee for the following year, he or she will immediately forfeit ownership of his team with no refunds issued. The Maiden (start-up) drafts take place during the summer, as slow drafts, with a 12-hour limit per pick. The "typical" dynasty format has been slightly modified in the FFPC Dynasty Leagues so that each team will keep 16 of 20 (22 for Best Ball) players each year (including 1 Defense and 1 Kicker) instead of the entire 20 (or 22 for DE) player roster. This is done to encourage competition and also to make the yearly Rookie/FA draft longer and more interesting: instead of a 3 or 4 round draft, this Dynasty Standard format Rookie/FA draft will be 7 rounds each year. The Dynasty Best Ball rookie draft will be 10 rounds each year. Trading is also allowed in both formats, with the FFPC Dynasty Commissioner's close oversight. All Rookie/FA drafts take place after the NFL draft as slow drafts, with a 12-hour limit per pick. To join the Dynasty League discussion with other owners, please visit our message boards. 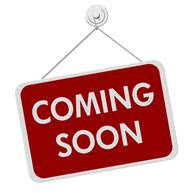 Please email the FFPC Dynasty Commissioner at dave@myffpc.com with any dynasty related questions.